Altolia has perfected the science of creating the best height increasing shoes through years of research, enhanced technology and attention to detail for design, style and comfort. We have set the standards in elevator shoes that others try to copy, but can't match. Each pair of Altolia shoes is designed to accommodate lightweight and super-soft insoles without changing the normal appearance of the shoe, while providing complete comfort to your feet. What Gives The Edge To Altolia Shoes? Most of our competitors use thickened insoles or lifts that eventually results in increasing the weight of the shoe and makes it look bulky and uncomfortable to wear. Whereas, each pair of Altolia shoes goes through with stern quality checks to ensure that you get the best, no matter what style you choose. 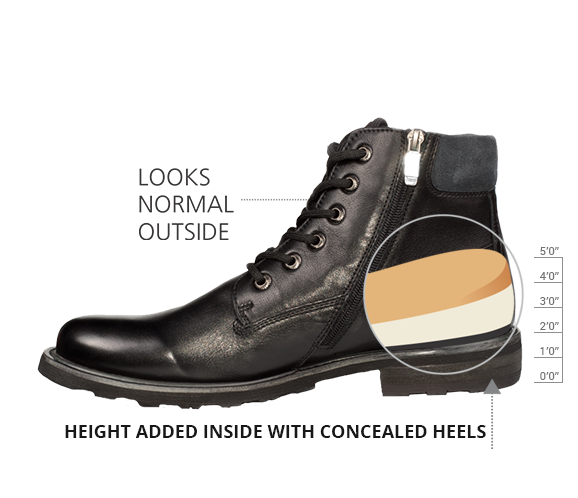 Our shoes are designed to increase your height without compromising on comfort, weight and style of the shoe. From Raw Materials to Craftsmanship, Quality Checks, Packaging and Presentation, every pair of Altolia Shoes has a Story. BE TALLER AT JOB INTERVIEWS, WEDDINGS, BUSINESS MEETINGS, GRADUATION CEREMONIES, BIG PARTIES, AND HOT DATES!! TALLER IS BETTER! OUR CLIENTELE KEEPS COMING BACK TO ORDER ELEVATOR SHOES FOR A REASON! ORDER HEIGHT INCREASE SHOES! Let Others Envy. You Enjoy!